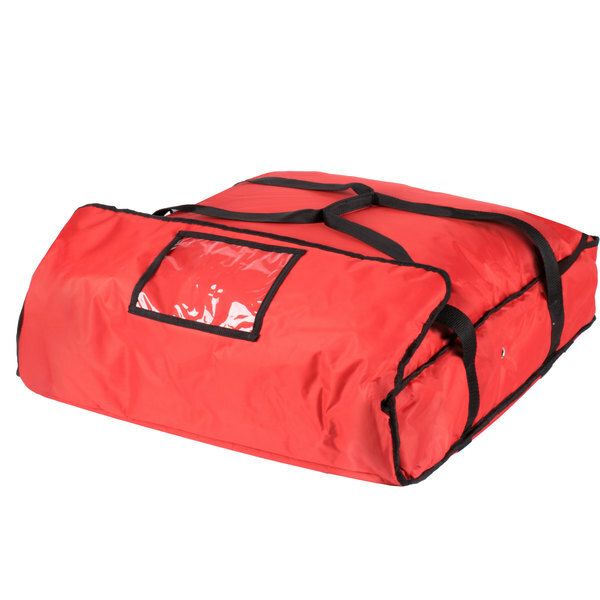 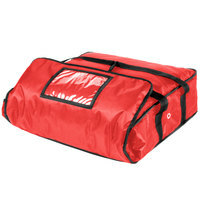 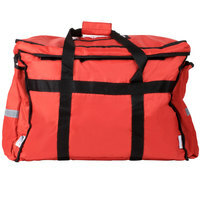 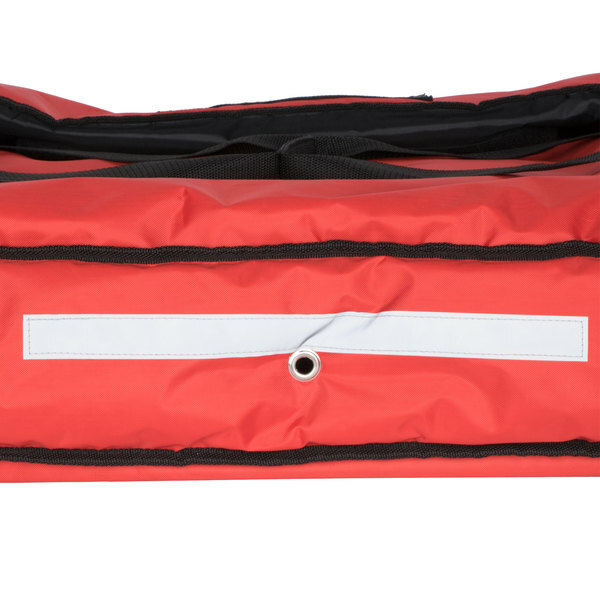 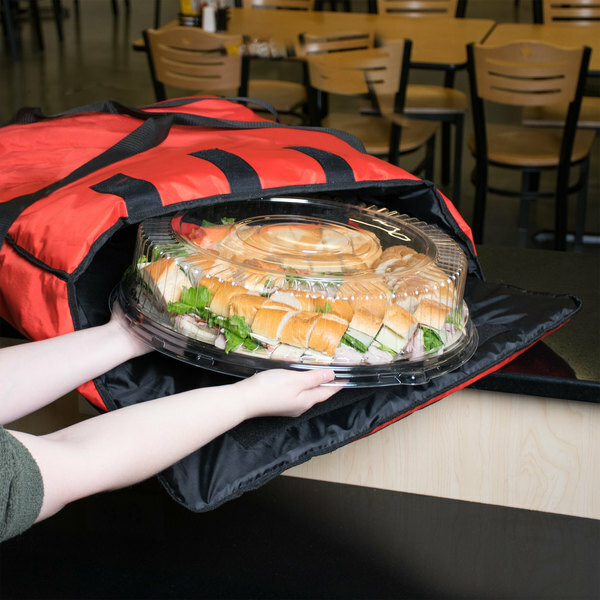 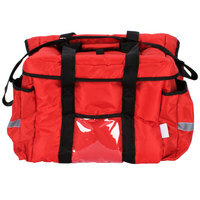 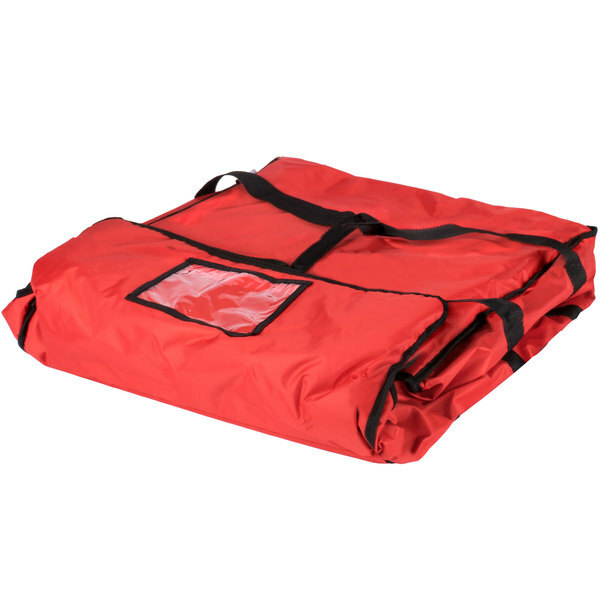 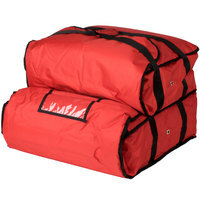 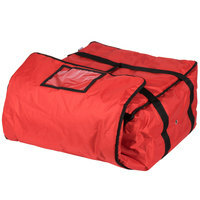 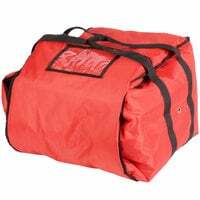 Give your staff the dependable delivery bag they deserve with this ServIt 24" x 24" x 5" red soft-sided heavy-duty nylon insulated pizza delivery bag! 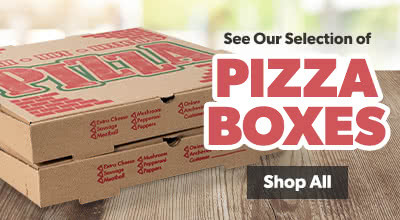 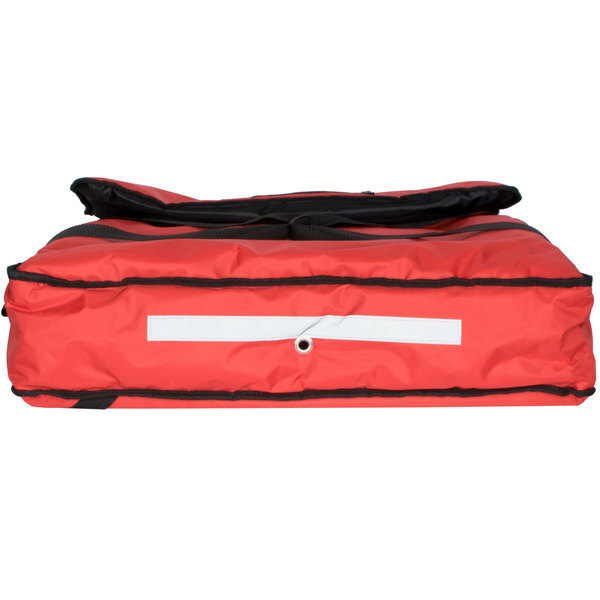 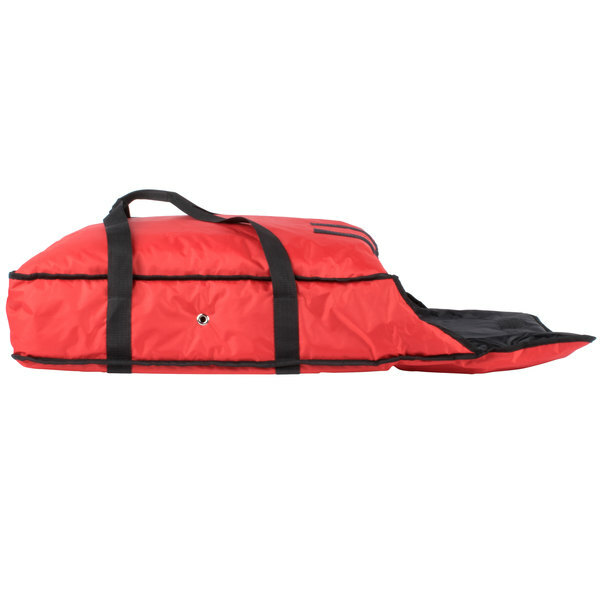 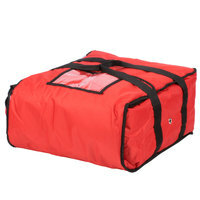 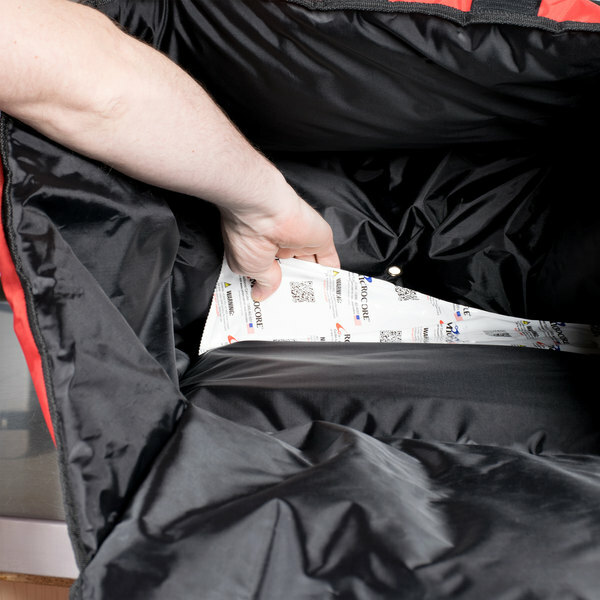 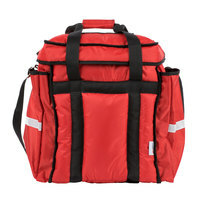 This premium ServIt 24" x 24" x 5" red soft-sided heavy-duty nylon insulated pizza delivery bag is designed with all the upgrades your pizza delivery persons need to get piping hot, perfect pizzas to your customers, each and every time. 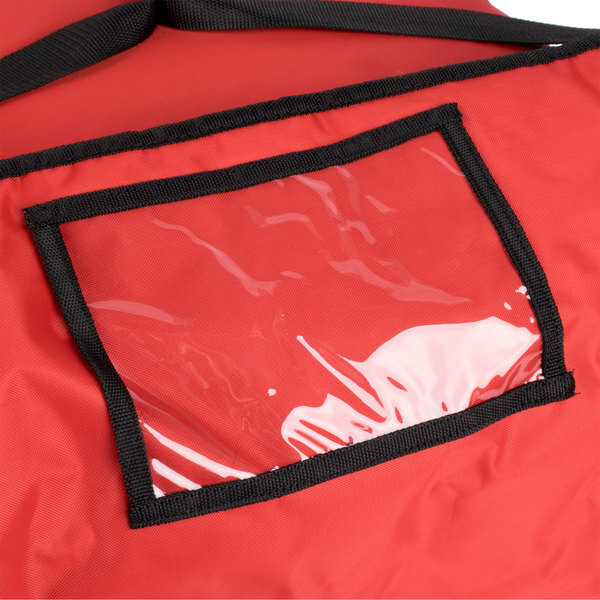 The durable nylon exterior is both water resistant and easy to clean, just like the interior of the bag, and it features a bold red coloring that's sure to garner attention from potential patrons. 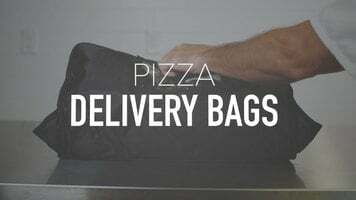 "We use these bags a lot. 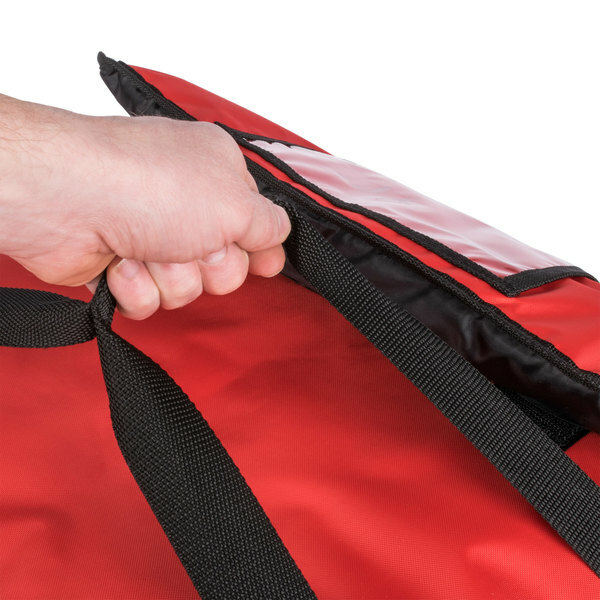 Top and bottom straps make it very convenient when on deliveries. 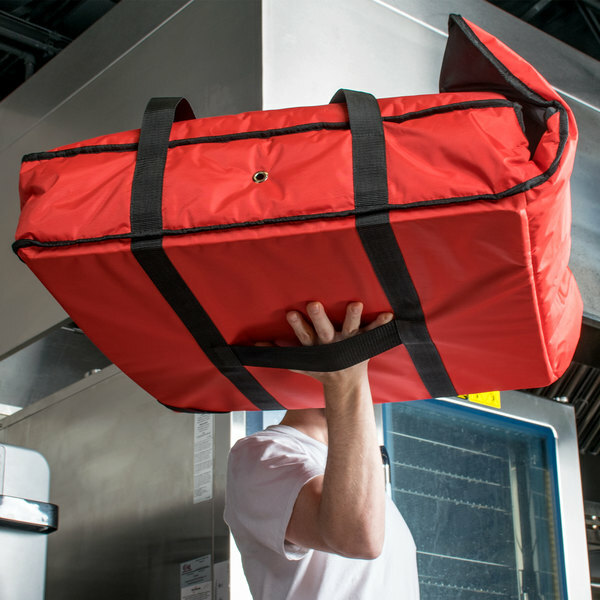 The stiffener board in the bottom makes it much easier to bottom-carry with smaller boxes inside or with off-balance loads. 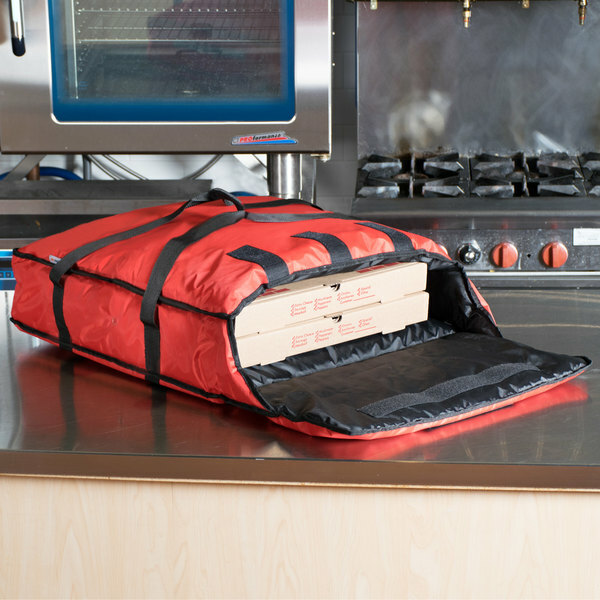 Do a great job of keeping food warm"